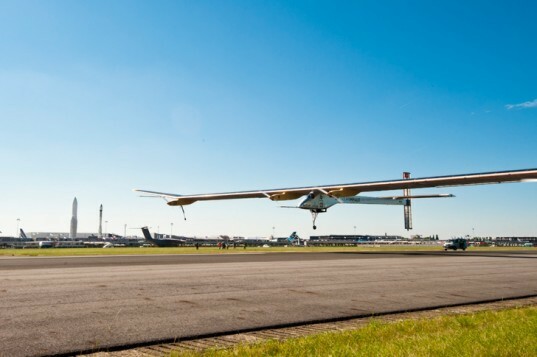 For the first time ever, a solar plane will attempt to fly from Switzerland to Morocco. Back in 2011 Bertrand Piccard and Andre Borschberg flew their Solar Impulse plane from Paris to Brussels, however the plane’s latest journey will travel even further – the plane will attempt to travel over 1,550 miles without using a drop of fuel. The trip is expected to take place in May or June, with Piccard and Borschberg taking turns piloting the plane during the 48-hour journey. They plan to stop near Madrid to swap piloting duties. “Flying as far as this, powered only by solar energy will be excellent training for the round-the-world trip,” said Borschberg, co-founder and chief executive of Solar Impulse. The plane’s round-the-world flight is planned for 2014. The Solar Impulse plane, which is powered by four 10 horsepower engines, has the same wingspan as an Airbus A340 plane, but weighs no more than the average sedan at 3,500 pounds. In July 2010, the Solar Impulse made history by being the first manned plane to fly 26 hours, 10 minutes and 19 seconds solely on solar power. 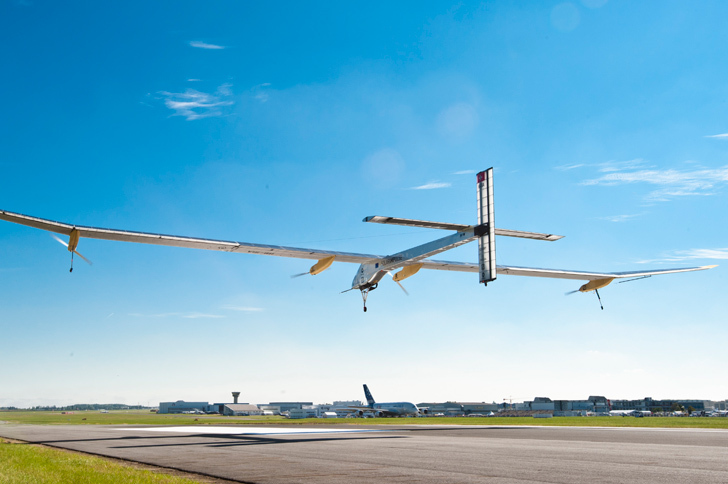 For the first time ever, a solar plane will attempt to fly from Switzerland to Morocco. Back in 2011 Bertrand Piccard and Andre Borschberg flew their Solar Impulse plane from Paris to Brussels, however the plane's latest journey will travel even further - the plane will attempt to travel over 1,550 miles without using a drop of fuel.